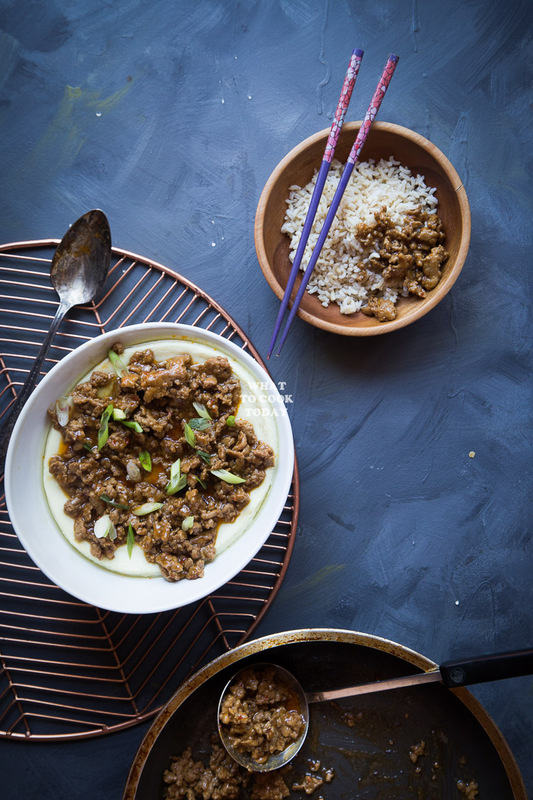 Silky smooth steamed eggs are smothered in spicy numbing Szechuan Ma po meat sauce. Super delish! I sure can get used to this super long 4th of July weekend you guys! It’s funny that I say this considering that I’m a SAHM, but still it’s nice that I don’t have to rise early and get the kiddos ready to be at somewhere. Though seriously my 3-year-old has been our alarm clock at 6:30 am for the past 2 weeks. His excuse is “I’m missing you mama”. And how can I send him back to his room when I hear that. Well, actually I can because this scenario is very likely to get old at one point and he needs to come up with another excuse that is worthy of my growing eye bags!! 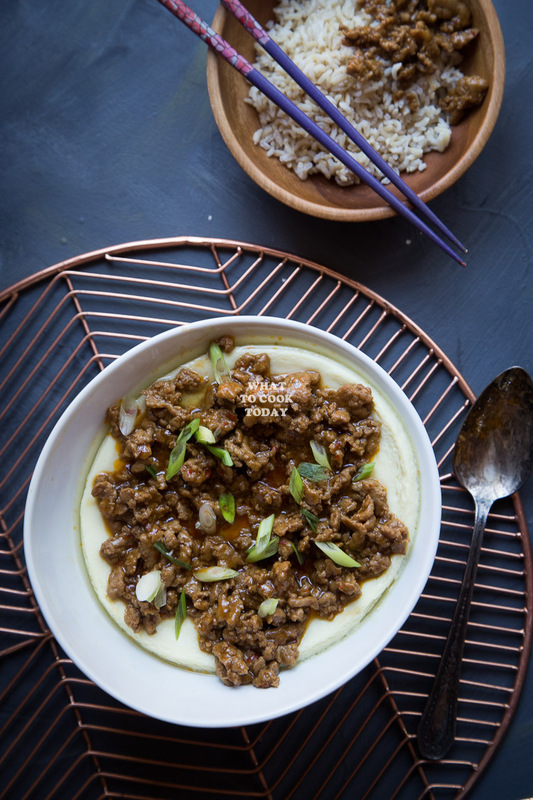 Anyway, another simple easy recipe that I would love to share with you guys is this mapo steamed eggs. 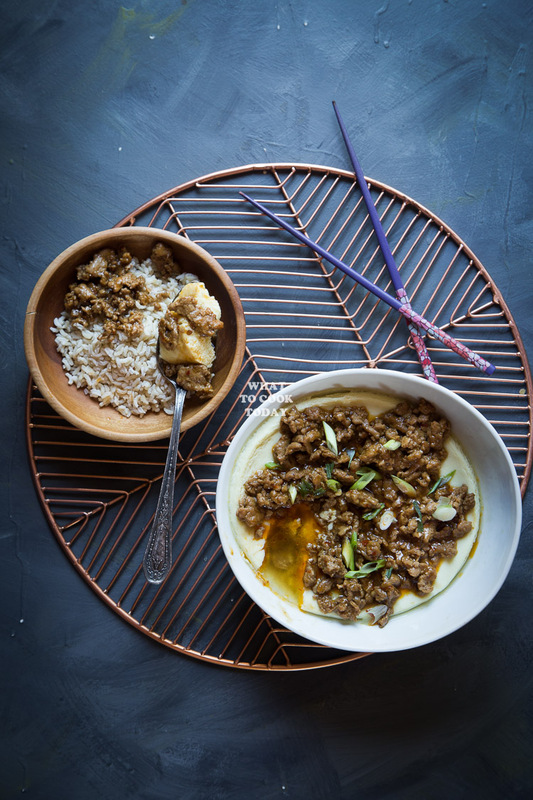 Inspired by the famous Ma po Tofu. Instead of tofu, I’m using silky smooth steamed eggs, which works out wonderfully. 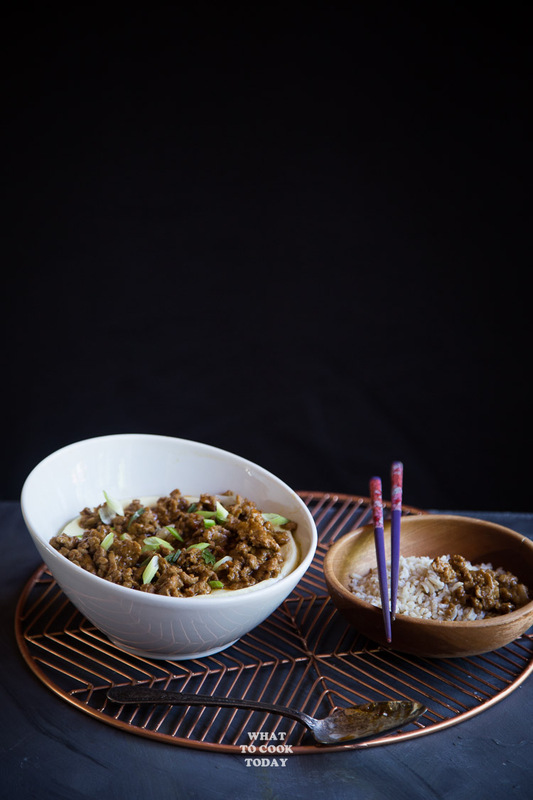 I love silky smooth steamed eggs smothered with spicy ma po meat sauce on top of it. I actually didn’t make it as spicy as I would love to for the sake of my kids, but they are still delicious. The kids love the combination too. What an interesting way of eating eggs, I would love this. This reminds me of the steamed eggs dad used to make for me as a kid. It’s so comforting. This is such a brilliant combination! I also always have to have eggs in the fridge (tofu, not that often!) 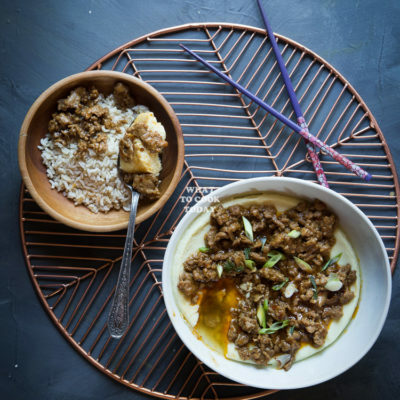 so this can be made practically anytime I need a mapo tofu fix! ..and the eggs look so smooth and silky! Yes, exactly..I always have eggs but not always tofu. 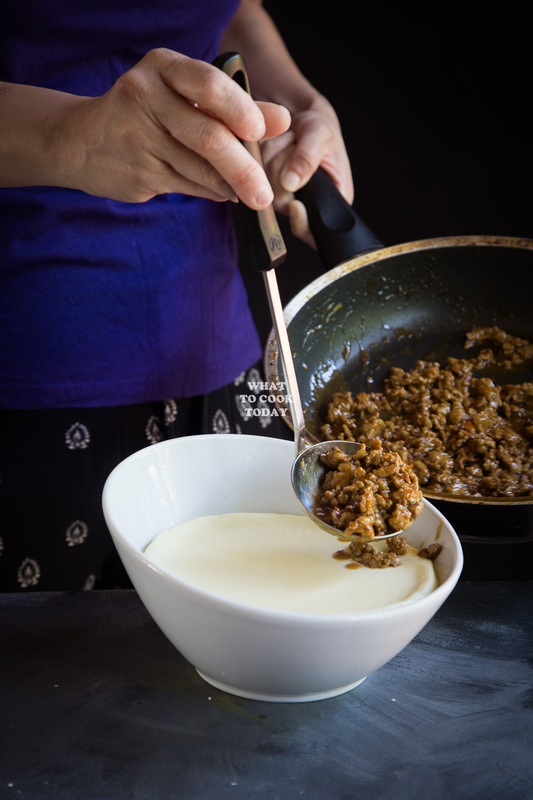 Mapo tofu is one of my favorite and I love it on top of silky smooth eggs.